Home > CVS > CVS: Free EOS Lip Balm! 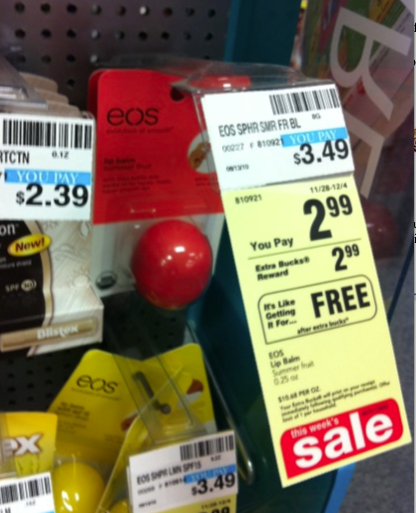 CVS: Free EOS Lip Balm! There is an unadvertised deal this week on EOS Lip Balm. That means you pay $2.99 for it and then get it all back again in CVS bucks! I found these at the end of an aisle near pain meds, so you may have to hunt a little bit. See all the deals at CVS this week.